New MacBook PC model is being taken as perfectly configured revolutionary system having Ivy Bridge processor with SSD drive and debuting retinal display. Besides this, there are many other awesome features one can't stop reading about. So, let us take a review for specification of New MacBook. The new 13 inch MacBook model have no disk drive rather its having SSD, lighter and slimmer than MAcBook Pro, debuting 2.5 GHz Ivy Bridge with 4GB of RAM, Thunderbolt Hard Drive, integrated Intel HD Graphics 4000, full surface trackpad and Retinal display feature with larger battery capacity. New MacBook Pro embeds Intel Ivy Bridge processor that would provide 20 percent comparative boost to system performance and 30 percent performing boost to integrated graphics. Apple SSD is the safe, fast, cheap and power efficient storage technology. The new MacBook completely avoids legacy components like Ethernet port, Optical drives FireWire to simplify the electronics on board, saving system space and reducing weight. The machines will have immense high definition Retinal display. New MacBook has been redesigned to super-slim wedge shape that has already been patented by Apple. New MacBook battery back has been improved as powered consumption reduced for removal of hard drive and legacy components. 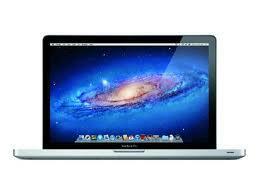 Earlier MacBook series was equipped with Sandy bridge processing laptops where new MacBook's Ivy Bridge. Unlike earlier antiquated HDD technology, this time Apple debuts fast SSD (Solid state drives) and there is no legacy scraps like optical drives etc. resulting to reducing device weight. Regarding display, this time Apple come up with new Retinal display that is considered as most innovative feature of New MacBook PC. The new MacBook PC also reshaped to wedge form. Unlike earlier version, many electronic components and hard drive removal helped increasing battery life of the new system. Above new MacBook specification, highlights and its compare with prior models clears that Apple has not only revamped design of new MackBook but also reconfigured the model from inside. There is no doubt that the new MacBook is a revolutionary product and going to rock. Apple expected to unveil 6 New MacBook models including 2 new MacBook Air Line, 2 new MacBook Pro Line, new Mac Pro and a Mac mini.